I was never one for running. I tried it, admittedly without conviction, motivation nor pleasure, many years ago and just found it too jarring and not my thing. I was happy just walking, doing my pilates, rebounding, doing everything slowly. But then the forties hit and those who are there with me know what that means for the body. I felt I needed to do more and though I love rebounding, I live in a fantastic neighborhood for walking and, well, running. Yup, I felt the time had come to add that to my regimen. So I sent an SMS to all my runner friends asking for numbers of trainers. I was going to get into this with proper training. Stories of running injuries abound and I didn’t want that at all; I wanted to start properly. Well, one text message mentioned Chi Running. That intrigued me so I googled it and got very excited. Chi Running incorporates core work, proper alignment, body awareness, relaxation and enjoyment into your running technique. It teaches you how to let gravity work for you. There is a wisdom here that I already live by in the many platforms of exercise and movement I continue to use in my life. Danny Dreyer, the founder of Chi Running leads a holistic lifestyle and believes that running doesn’t have to mean injuries. He runs with a focus on the body-mind connection and that really appealed to me. The best thing about learning Chi Running is there’s a local certified instructor, Lit Onrubia. We waited a few weeks before he could come out to our neck of the woods but it was worth it. He gives workshops regularly, so I’m sure you’ll be able to find one that will fit your schedule. If you’re contemplating running, do this first! I used to pant going uphill and put on invisible breaks going downhill, but a few hours with Lit and I already have a technique that works. Now I look at hills with zero dread–ok–greatly diminished dread. You guys, Lit makes running a pleasure! Chi Running rocks! I’ve been a regular student of Barre3since I tried it last May 13. A friend’s Facebook status introduced me to it and I found the idea interesting. I was a student of ballet in my youth and spent a good part of my adolescent and teenage years in a dance studio. I was always working out as an adult, in the gym then in Pilates studios, but my workout life screeched to a halt as I dealt with major energy dips in my forties. Still the urge to move was always there and I wanted to do something that was working at the cell level as well, so I got myself a good rebounder and started moving again. Pretty soon I was looking for something more. I was missing studio work, but couldn’t see myself doing ballet again. 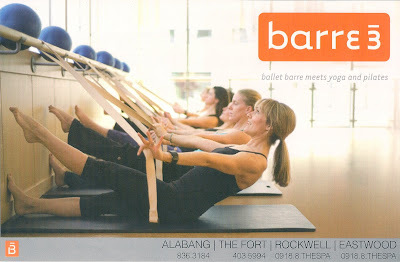 Barre3 seemed like a good thing: pilates, yoga and ballet barre work in a one hour class. So far, so good. I’m rediscovering my strength and enjoying the challenge. 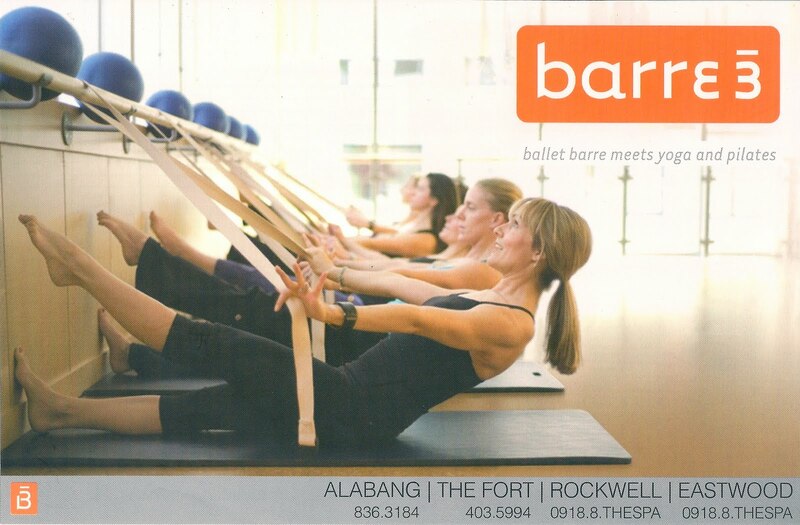 The classes in Alabang are still wide open and it’s very nice to work out in the quiet. It’s not a cardio workout, and I still have to add more of that to my routine, but for now it’s just the kind of challenge I’m looking for. Check it out. Some residents of my village have been trying to put a stop to the useless and highly toxic practice of fogging against mosquitoes. This is done in the hopes of annihilating the dengue virus, but has been proven quite useless. The mosquitoes go away (imagine the size of the mosquitoes against the power of the mist so, yes, they are “blown” away) and then come back once the fogging is done. Those that remain more than likely mutate into even more virulent versions of their former, unsprayed selves. After a lot of going back and forth, research on the practice, research on dengue, all it took was the DOH’s official stand on fogging to convince the committee that we no longer need to do that here. Apparently, it is pretty clear that the Department of Health has a No Fogging Policy. So there. The only reasons they give are that it is useless and expensive. They do not talk about how toxic it is to all of life. Still, I am grateful that the dangerous practice will stop. Chemical pesticides are designed to kill. That’s what they are for. They do not target just mosquitoes. They will kill whatever is there–dragonflies, butterflies, frogs, you name it–everything that is in the environment that is part of creating a healthy ecology. Some of these insects we have to thank for naturally eating mosquitoes and helping us, but we’re killing them as well, thereby helping to create the problem we are trying so hard to fight. I am happy that my village has decided to follow the DOH policy, though I wish more people would see just how toxic pesticides are. 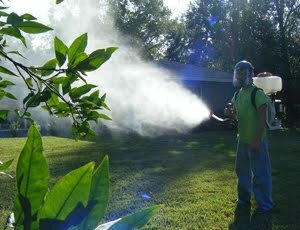 The case against fogging is not just a case against uselessness and expense; it is a case against pesticides that kill. We are not there yet. Some people just shrug their shoulders, as if we were inventing what is already proven in so many parts of the world. Pesticides are toxic to all living things. They cause all types of cancers, skin, respiratory and endocrine diseases, etc. We’re so scared of dengue, we think fogging will prevent it (it doesn’t), so we allow ourselves and everything living around us, to be exposed to chemicals that will give us serious, terminal illnesses instead. I don’t get it at all. But with the end of fogging here, I am hoping that people will notice the restoration of life as well. In the meantime, gratitude for the death of fogging is in order. YES! Yup. It’s candle time again tonight. I’m thinking of bringing out the citronella incense and sitting out on my balcony. It’s very windy where I am, so I’m not sure my candles will remain lit, but it would be nice to be outdoors, totally enfolded by the darkness. 8:30. Tonight. Turn it off. I don’t know why these images are so teeny-tiny, but just click on them to see. Congratulations to Rustan’s for helping to mainstream organic and earth-friendly products. I prefer to use local when I can, but that these products are available here is already cause for celebration. It’s proof that products that keep our families and the earth healthy, are no longer just for treehuggers! Hooray! There are other products available in the line so visit when you can. Shortly after I turned 40 (there, I said it), I decided I wanted something more from my workouts, and I was no longer interested in spending hours in the gym. I wanted to make sure that whatever it was I was doing, was working on my insides as well. That’s when I ran into an aunt who introduced me to the Cellerciser. 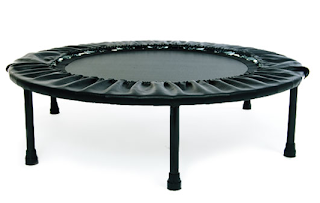 Yes, it looks like a simple mini trampoline, the kind you can purchase off Toby’s, but this is not a toy. You bounce on the toys and you’ll feel what I mean–and not in a good way. The Cellerciser is pricey if you think of it as just a mini trampoline, but when you consider what it does for your cells and then compare it to your gym fees, it begins to feel like a great deal. I was immediately drawn to this because it’s exercising down to your cells, hence its name. 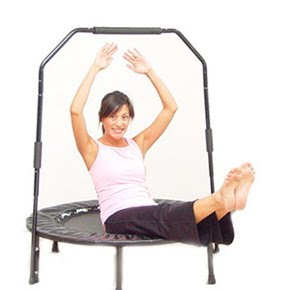 When you bounce (this foldable and very portable rebounder comes with a dvd, book, bar and carrying case), you are working out not just your body, but giving your cells a great boost (there’s a science to this that is explained in their website, but I won’t even attempt that here). 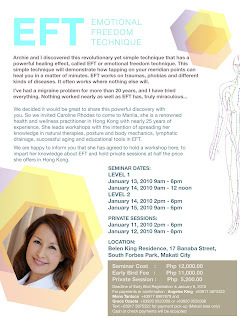 It’s like doing lymphatic drainage everyday. And the beauty is you don’t have to spend hours on it. 10 minutes a day, minimum, is enough. I no longer have the patience to spend hours in the gym. I workout at home now with my rebounder, different dvds and all the nature around me. I enjoy walking around my neighborhood when I can. As I get older, I appreciate my senses getting a good workout as well. I have my Cellerciser in my room facing the garden, I don’t have to spend hours on it, and I know that every minute I spend on it is great for the health of my cells. That, plus my super supplements, is really all I need. If you want to know more about the benefits of rebounding on the Cellerciser, visit the site here. Rica Villalon is the local distributor of the Cellerciser and though I make absolutely nothing from her, I’ve sent many people her way because I believe that workouts should do more than make you look good. So, start 2010 on the right track. Cellercise!! How does it move through you? Each time I open my mailbox or Facebook, I am inundated with requests for help. How do you choose which initiative to give to? At what point do you stop? These are questions I have been living with since the typhoon hit. I give by feel. If there is a person I know and trust at the other end of the initiative, I will give there. If it is an initiative that causes a sudden swelling of my heart, I give there. But now I have chosen just one or two that I would like to see through, also because I want to focus. No one can save the world alone and we have to trust that others are doing their share where they are needed. I think I may have overdone it this time, judging from the thudding in my heart each time I realize I’ve left this or that bill unpaid, but I simply have to trust that by giving towards the improvement and healing of our country, I have made a sound and wise investment. There was a significant amount of money I had to let go of recently because it was claimed by someone else. I had thought it was meant for me, but with all the inhuman behavior around it, I knew it would be folly to insist on taking it. To me, it is about energy and intention. It isn’t just money. 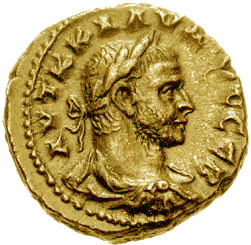 As I age, I am beginning to realize the true nature of money. It is energy. It is supposed to flow. This doesn’t mean one behaves irresponsibly and gives everything away, but I’m coming to the understanding that it is better used, out there, moving, than sitting in the bank doing nothing. There are many ways for your money to move as it should and I find that when you give, you realize you have more room to give where you thought you didn’t before. Spaces open up when you are awake and conscious about the true value of money and what it is supposed to do in the world. Ondoy has opened up spaces in our hearts and homes that were not there before. I’ve cleaned out my closet three times, and each time I thought I had given to the max. My children have given away clothes they still wear because they know they have more than what they need. The challenge today is to begin to live even more simply and to make sure that whatever money we have moves through the world as well. When you put your money in initiatives that matter in the world, you are making an investment that is wide, deep and from the heart. No bank can give you that. Every woman struggles with this. As a mother you’re always caught between giving your children freedom and boundaries. When do you give in, when do you hold back? 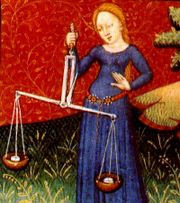 How do you balance all the aspects of your womanhood: wife, mother, lover, warrior, daughter, sister, co-worker, individual…? It is a daily challenge, especially when you want to live consciously. For mothers like me, whose children have to meet with a totally different lifestyle when they are with their father, there is the added challenge of letting go and accepting that there are aspects of their life you don’t see and cannot control. I find the phrase “good enough mother” very moving and comforting because it recognizes the inner struggle of every mother to be her very best and the inevitable feeling of failure that comes with it. When you bring children into the world, you want only the best for them. It is your responsibility. It is your goal. It is your every breath. But life happens along the way and you mostly have to make do. Achieving balance is a colossal struggle because so many people need you but to be able to serve them well, someone has to look after you. And we all know that for every woman, that person is no one but herself. I went to see a doctor a few weeks ago to discuss some therapies for my children who can’t seem to get over their asthma. Their doctor prescribed therapies that I was feeling so totally overwhelmed about because I am just one, they are two, and I’m already doing everything I can for them in terms of medicines and therapies, rhythm, diet–you name it. The doctor looked at me and said I was the one that needed caring for and strengthening because I was clearly exhausted and what strength could my children get from me when I am running on empty? I could have kissed the ground she walked on. As women, we always pedal to the back of the line for others, when we have to learn that we can serve better when we are strong, healthy and cared for. Every husband and father ought to see that if the mother of their children are healthy and secure, so will their children be. Instead, the full weight of the world is on mothers today. No wonder our kids suffer, too. Balance. Every woman ought to fight for it and claim it. It’s easier said than done, I know, when we are so programmed to think of others and never of ourselves. I’m trying my best to make that part of my agenda this year and every day after. Of course I had to choose the year where I’m in the midst of building a house and rectifying the horrors that come with it, but it’s precisely what pushed me to realize that I have to take care of myself more because I am totally useless to the people I love when I am unwell. Balance. May every woman achieve it. See those two little boys? They’re my boys. This is a photo I took from the balcony of the rental I just moved out of. I took it a year ago. The lake was just a hop and a skip away from our house then. We moved from congested Quezon City to Silang, Cavite because my boys were always sick in our former house and I felt that I had given them all the help I could in terms of therapies and nutrition. Somehow I sensed we needed to be supported by our environment, too. I was right (hay salamat minsan nakakatama din!). My boys have blossomed since. Though they still have asthma attacks (I was hoping that would disappear), they are both stronger and fuller. I was just showing my older boy’s photo to his teacher and we couldn’t believe how thin and gaunt he was before we left the city. Here, we are surrounded by trees, crickets, frogs, all kinds of insects, clean air and life, life life!!! It takes them no more than 20 minutes of traffic-free travel to get to school. Now my Santiago has gained weight, is happier, less introverted and is always leaving his shoes behind! He loves to walk on grass, soil and stones. Just the other day, my boys planned to have a picnic under the shade of a tree they just discovered they could climb. Each brought an oatmeal chocolate chip cookie baked by their Tita Joy. These are the simple joys of childhood that mean so much. They don’t need toys, TV or computers. A home made cookie each, under a tree. That’s what made their day. I really think that our children need to live away from the city. I’m still in a village, not exactly in the middle of nowhere, so it’s not even as perfect as growing up on a farm, but already the change has made such an impact on the health and well-being of my children. I am so grateful for the chance to move away, start anew and restore their health. Nature is such a perfect healer and I know that just by growing up in the midst of it, my children will be great protectors of her gifts.